EY and Tate today announce the renewal of their ambitious arts partnership, which has supported hugely successful exhibitions at both Tate Modern and Tate Britain over the past six years. In total the EY Exhibitions have already attracted well over a million visitors to date. This critical long-term commitment from EY will see the partnership continue with a further three EY Exhibitions opening in 2019, 2020 and 2021. This reaffirms EY’s position as one of the largest corporate partners of Tate and marks over 25 years of investment in UK arts and culture by EY. We are delighted to announce that we will be continuing The EY Tate Arts Partnership for a further three years. EY has a long history of supporting the arts and, over the last six years, we’ve seen some hugely successful EY Exhibitions across Tate Modern and Tate Britain. At EY, our corporate purpose is to build a better working world. It is at the centre of everything we do, and the decisions we make. A key part of this is ensuring that we play our part in promoting diversity and contributing to a buoyant economy. Supporting the arts and culture sector is one of the ways we are proud to demonstrate this commitment. It is a huge privilege to work with Tate and we look forward to building on the success of this unique relationship for a further three years. By 2021 EY’s commitment to Tate will have been going strong for nine years. That kind of long-term partnership is hugely important, allowing us to be ever more ambitious and confident in our programming. The EY Exhibitions have been critical and popular successes, showing major artists in a new light and building on new research about key moments in art history. I look forward to this partnership enabling many more fantastic shows in the years to come. The partnership began with The EY Exhibition: Paul Klee in 2013, followed by The EY Exhibition: Late Turner in 2014, The EY Exhibition: Sonia Delaunay and The EY Exhibition: The World Goes Pop in 2015, The EY Exhibition: Wifredo Lam in 2016, and The EY Exhibition: Impressionists in London in 2017. 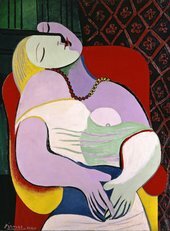 Following The EY Exhibition: Picasso 1932 – Love, Fame, Tragedy at Tate Modern this year, The EY Exhibition: Van Gogh and Britain will open at Tate Britain in 2019 and further shows will be announced in due course for 2020 and 2021. EY is a global leader in assurance, tax, transaction and advisory services. The insights and quality services we deliver help build trust and confidence in the capital markets and in economies the world over. We develop outstanding leaders who team to deliver on our promises to all of our stakeholders. In so doing, we play a critical role in building a better working world for our people, for our clients and for our communities. EY refers to the global organization, and may refer to one or more of the member firms of Ernst & Young Global Limited, each of which is a separate legal entity. Ernst & Young Global Limited, a UK company limited by guarantee, does not provide services to clients. For more information, please visit ey.com/uk/arts. For further press information please contact rachael.young@tate.org.uk or jean.tang@tate.org.uk or call +44(0)20 7887 8832 / 8730.